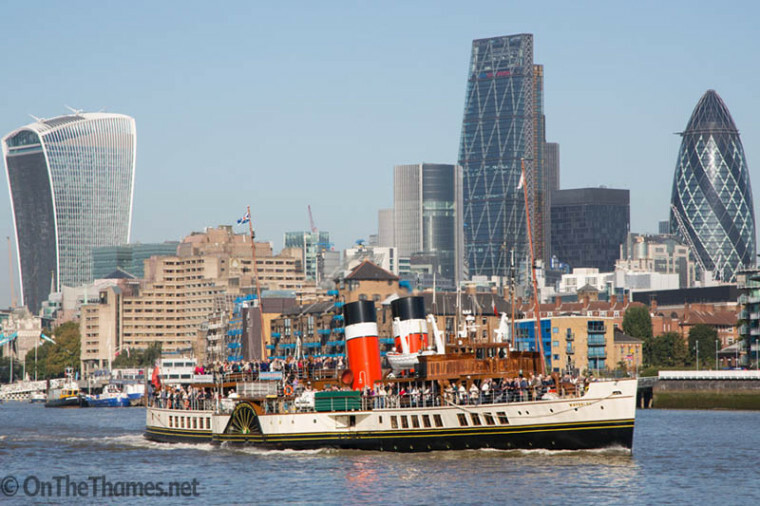 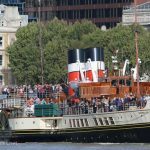 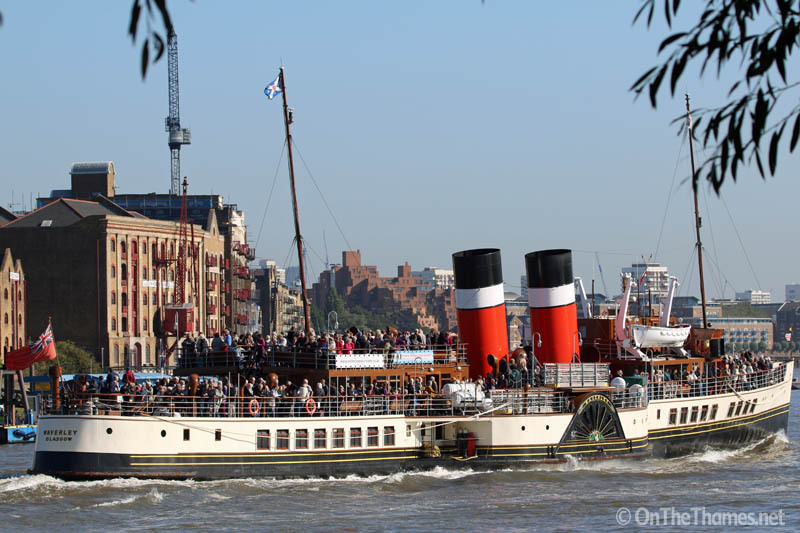 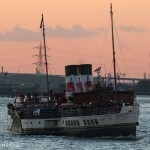 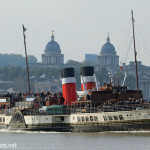 HISTORIC paddle steamer Waverley has arrived on the Thames for her annual season of trips. 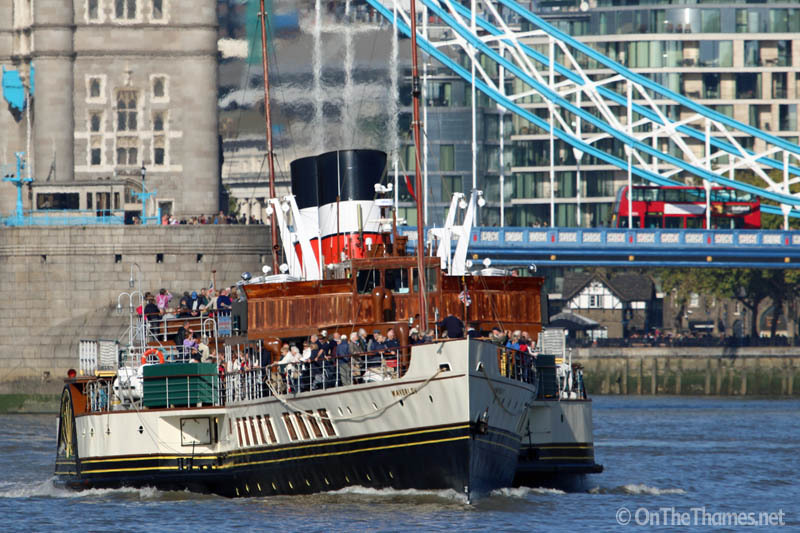 The beautiful vessel arrived last Friday and immediately for started on her 2015 programme of Thames excursions. 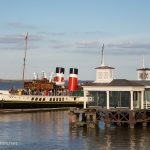 Built in the mid 1940s, Waverley is the last sea going paddle steamer in the world and is listed on the UK's National Historic Fleet Register. 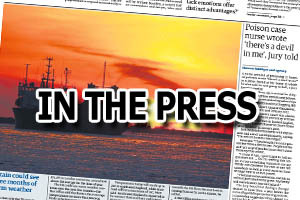 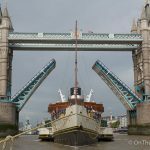 The attractive lines and twin red funnels of the 73-metre long ship will be seen up and down the Thames for the duration of her Thames season which continues until October 11th. 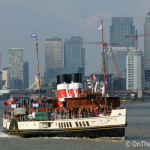 Waverley was assisted with her turn in the upper pool by SWS Breda. 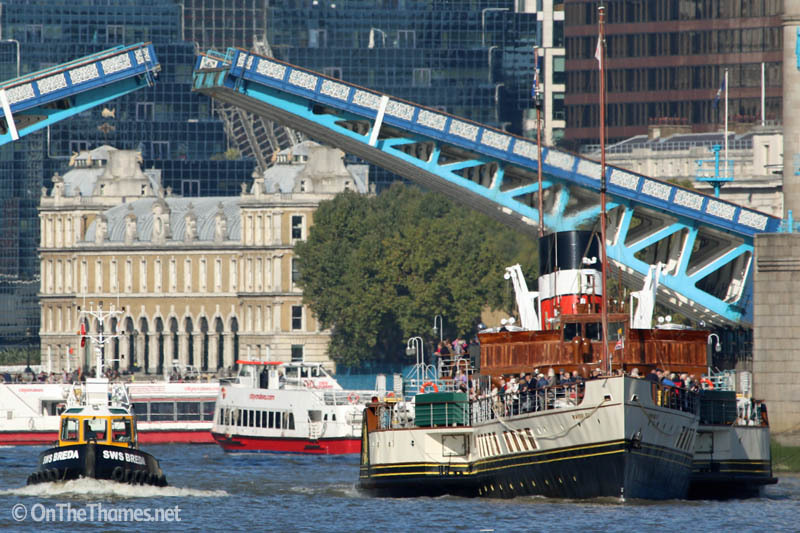 An icon of the river in the foreground as an icon of the roads passes in the background. Some of the tallest buildings in the City form a striking backdrop to Waverley. 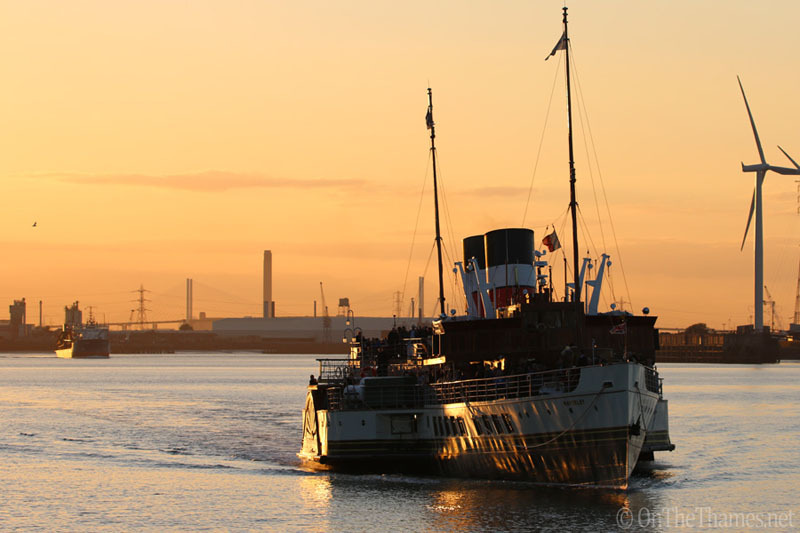 As has become tradition, Waverley also features in the On The Thames photo calendar, available to buy now and in selected shops.